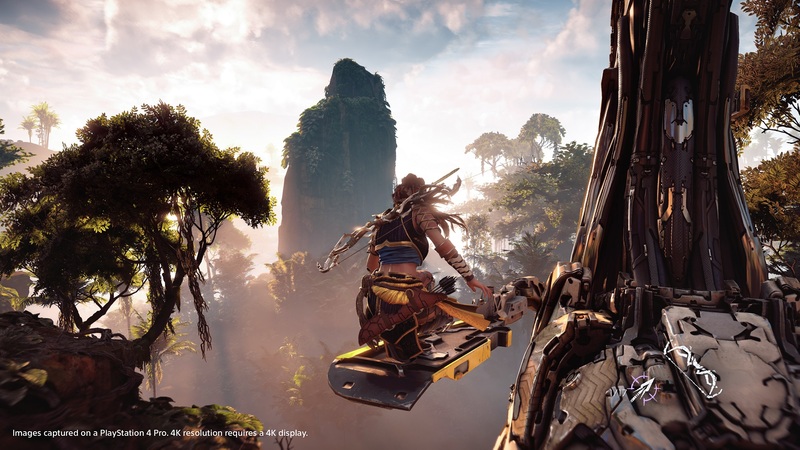 Guerrilla Games’ Mathijs De Jonge, Game Director on Horizon: Zero Dawn (and previously on Killzone 2, 3 and Liberation), was interviewed by YouTube channel Noclip on the making of the highly acclaimed post-apocalyptic PlayStation 4 game. Clocking at over fifty minutes, it’s definitely rather long but also well worth watching for fans of Horizon: Zero Dawn. For example, we learned from De Jonge that the prototype included working two player co-op which was discarded to keep more features in. There have been early concepts. At the beginning we were thinking about two players in co-op, our very early prototype was with two players. We had the game running back then in co-op and that was quite nice to see. But we haven’t got that [in the final version] because the programmers basically said that if we wanted to have co-op, we would also have 50% of the features we had been asking for and not 100%. With Horizon: Zero Dawn being the first game [in the franchise], we wanted 100%, so we dropped co-op in favor of that. The NPCs fighting along, that is very complicated to get that right and we didn’t want to go there for this game because it’s so much work to do that well. De Jonge also shared additional interesting tidbits on the development of the game. For instance, at the beginning the game’s map was about fifty times bigger (yes, you read that right) than it ended up being; the art team opined that it would never be possible to fill that huge map with enough content. Moreover, he pointed that they were glad to have this much development time from Sony as it took Guerrilla a long time to nail down the combat and make it feel as good as it does in the final version. In fact, he added that the bulk of the game was basically done in two years as the full Guerrilla team started working on Horizon at the end of 2014 after the core combat system had been more or less finalized by a smaller team. Horizon: Zero Dawn was included in our Best Action/Adventure Games of 2017 selection. The game also received an expansion called The Frozen Wilds, which Francesco reviewed quite favorably. With a new focused story, a harshly beautiful new area, new weapons, enemies and skills, Horizon Zero Dawn The Frozen Wilds is a worthy expansion of the open world game developed by Guerrilla Games. Ultimately, it’s more of the same, as the expansion lacks any major new gameplay mechanics, but when so much love is put into a product, is it really an issue? Highly recommended to all Horizon Zero Dawn owners. A sequel is pretty much guaranteed, though it might be a while before the official reveal. Sit tight until then.